Hello, my dear friends! 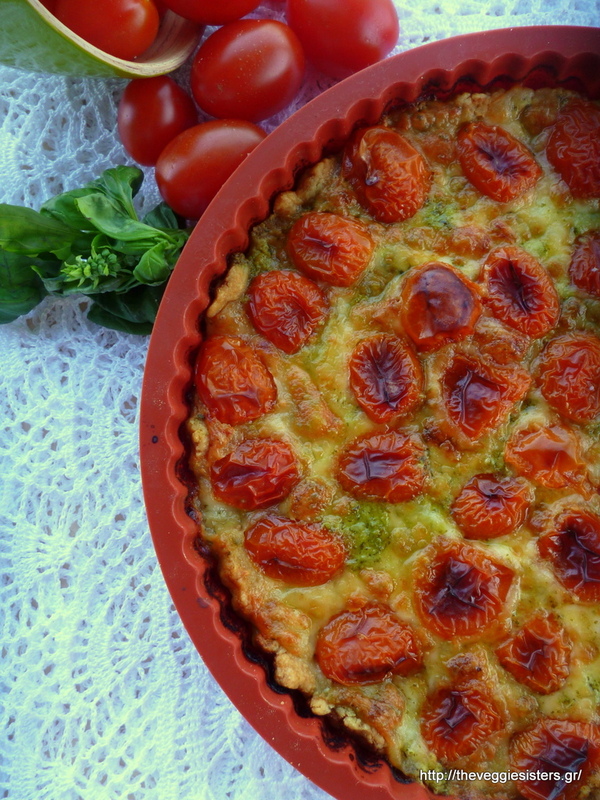 Today we are cooking my favorite tart! 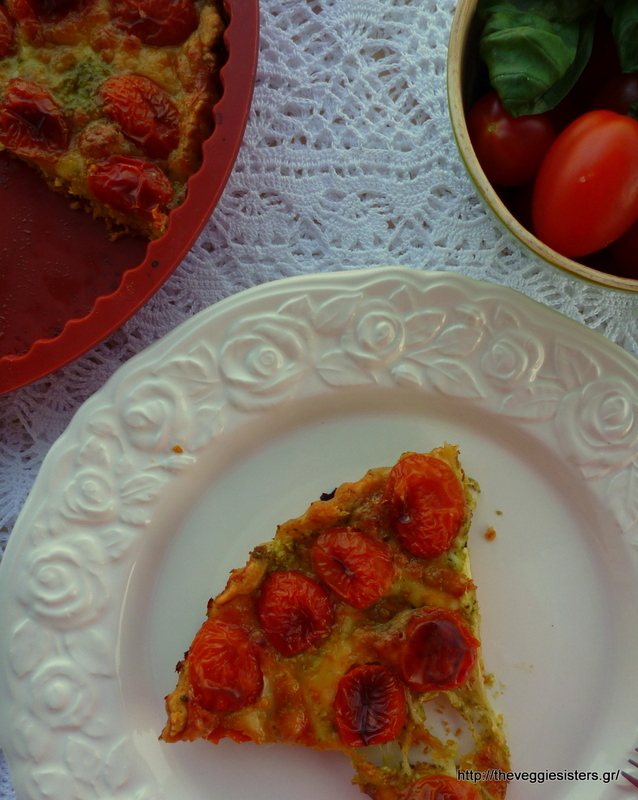 The ultimate summer tart made with cherry tomatoes-pesto-mozzarella that is a winning combination! I am sure it is going to be a hit in your house and will impress your guests not only because it is very tasteful but also because it is really pretty! Which is your favorite kind of tart? Mix the flour with the butter until crumbly. Then add the other crust ingredients. Mix until well combined. Cover the dough with a plastic wrap and put it in the fridge for 30 minutes. 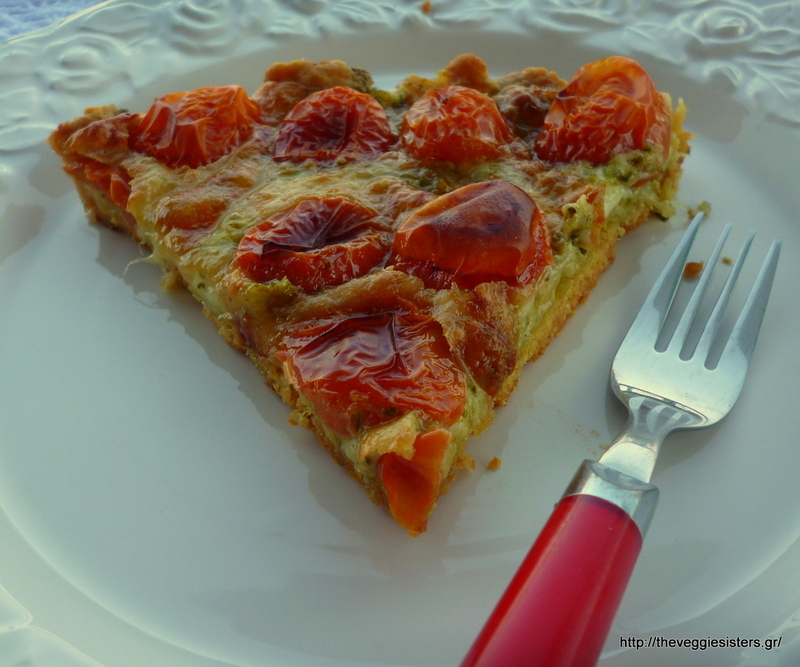 Then roll it in a tart pan (22cm), make holes with a fork and cover it with a baking parchment. Put beans/rice on it and bake for 10 minutes at 200C. Allow to cool. Spread the crust with pesto, place mozzarella slices and top with cherry tomato halves. Bake in preheated oven at 180C for about 40 minutes. Remove from oven and serve when cool. Enjoy! 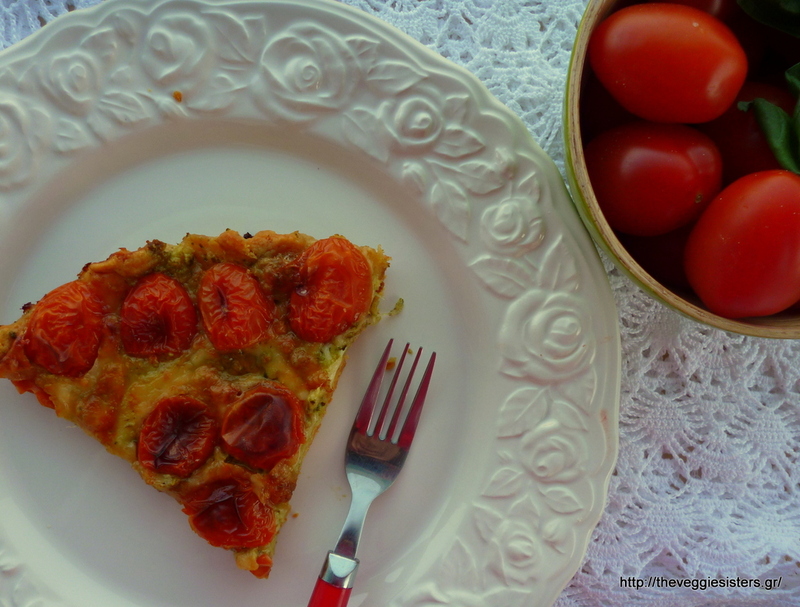 Share the post "The ultimate summer cherry tomato pesto tart"